Ice skating in September probably isn’t something you thought about while making your plans to visit the Ark Encounter in the summer—but now you can! We’ve recently opened a Glice® rink—the largest in North America—in front of our life-size Noah's Ark. Glice® is a synthetic ice that acts just like real ice, allowing you to skate regardless of the temperature. Watch the video below to learn more about the Glice® rink. What Do You Need to Skate? 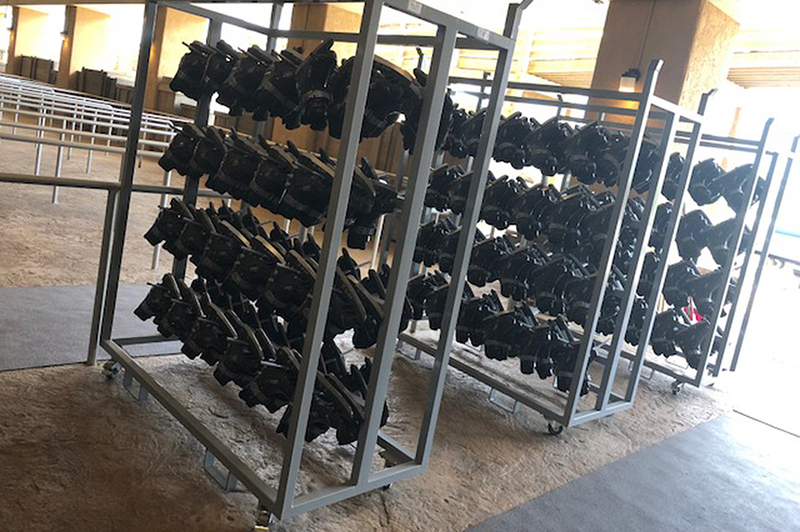 Since the Glice® rink uses synthetic ice, you must use the Glice® skates provided by the Ark Encounter. You can skate for as long as you want, during one continuous session, for just $8. 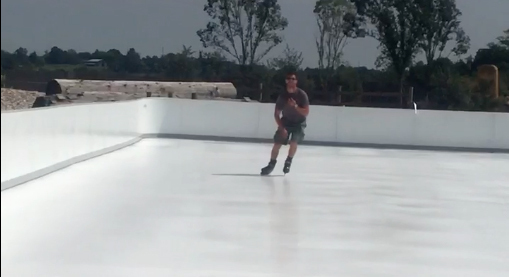 Check out this video of Glice® skating at the Ark Encounter! 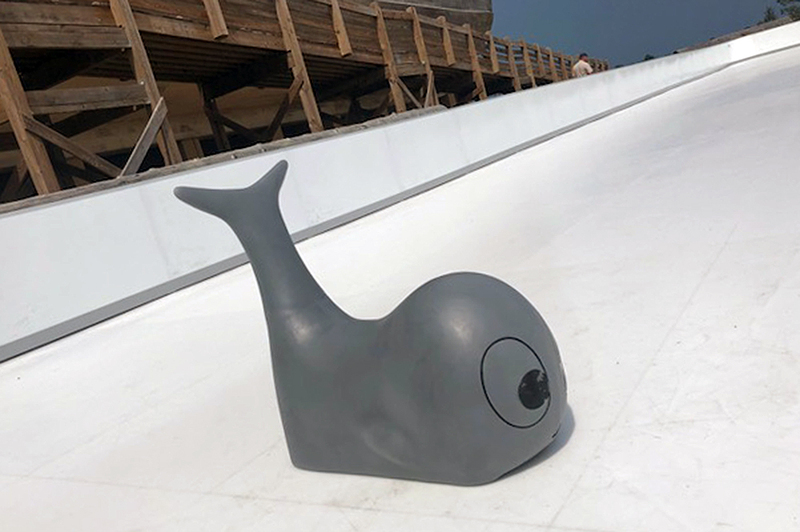 For children who are just learning to skate, a special whale-themed skating prop is available at no extra cost. Where else can you skate comfortably in shorts and a t-shirt—and with Noah’s Ark in the background? This is an opportunity you won’t want to miss during your visit! You can start skating now! 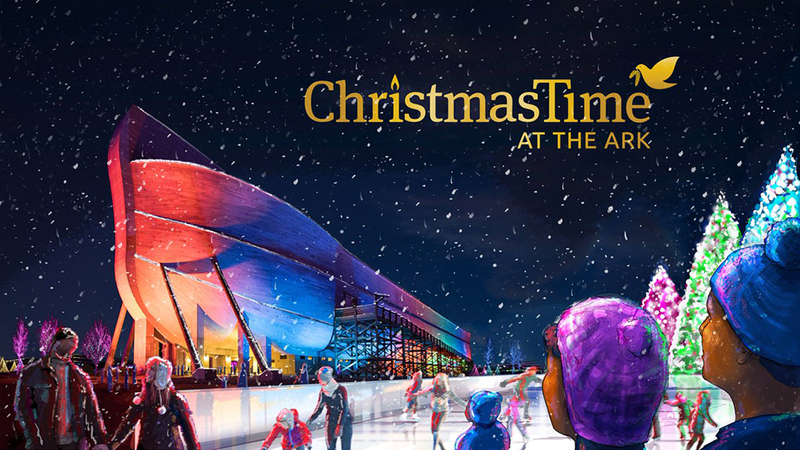 The Glice® rink will remain open through our special Christmas event, ChristmasTime at the Ark (November 23–December 30, 2018, closed Christmas Eve and Christmas Day). During the Christmas season you will be able to skate and enjoy the gorgeous rainbow lights on the Ark, as well as the festive lighting throughout the grounds. 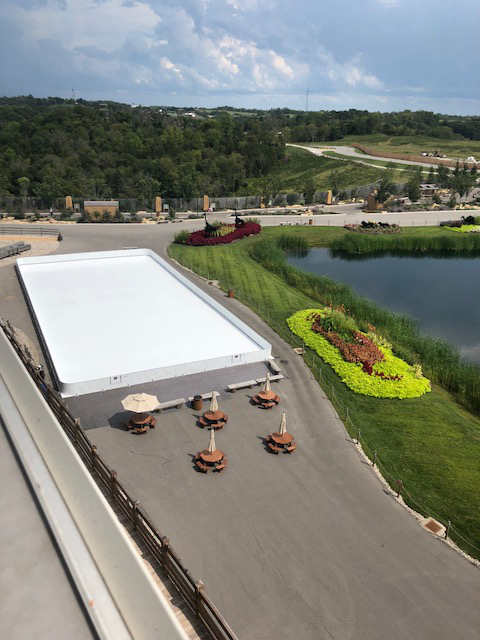 Start planning your visit to the Ark Encounter today, and be sure to try out our Glice® rink when you do. Share your favorite photos from your trip with us on Facebook, Instagram, and Twitter using #arkencounter. We’d love to see your Glice® pictures! Previous Article Favorite Fall Events Return to the Ark Encounter Next Article Meet Artist Oscar Nava at Día Latino!